Equipped with Swiss LabSen 553 Professional 3-in-1 pH/Temperature Spear Electrode, this SX811-SL professional soil pH meter is designed for direct soil pH measurement. Say goodbye to slurry making. 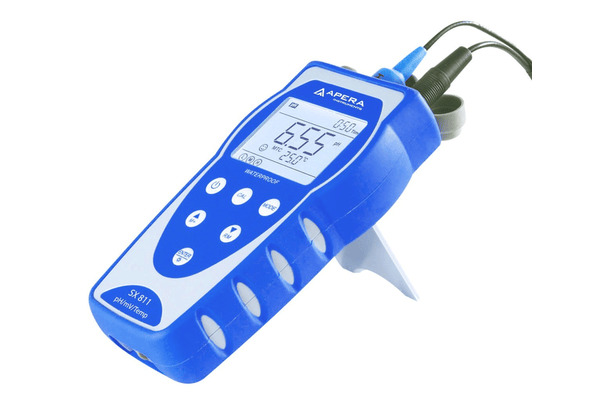 The Apera Instruments PH8500-SL Portable pH Meter is designed for professional direct soil pH measurements. The equipped Swiss LabSen 553 3-in-1 POM pH/Temp. 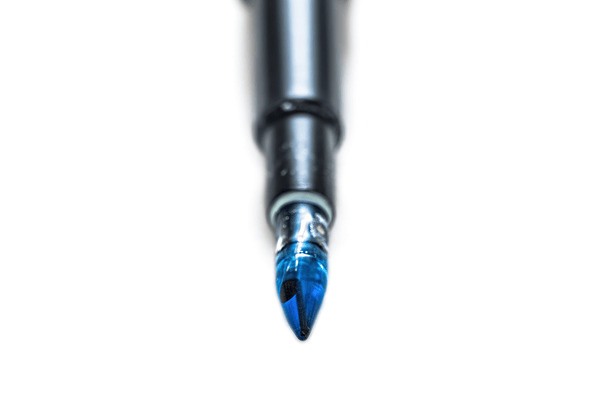 Electrode adopts Polymer electrolyte, Long-Life reference system, and a unique blue spear sensor tip, making precise direct soil pH measurement easier than ever. 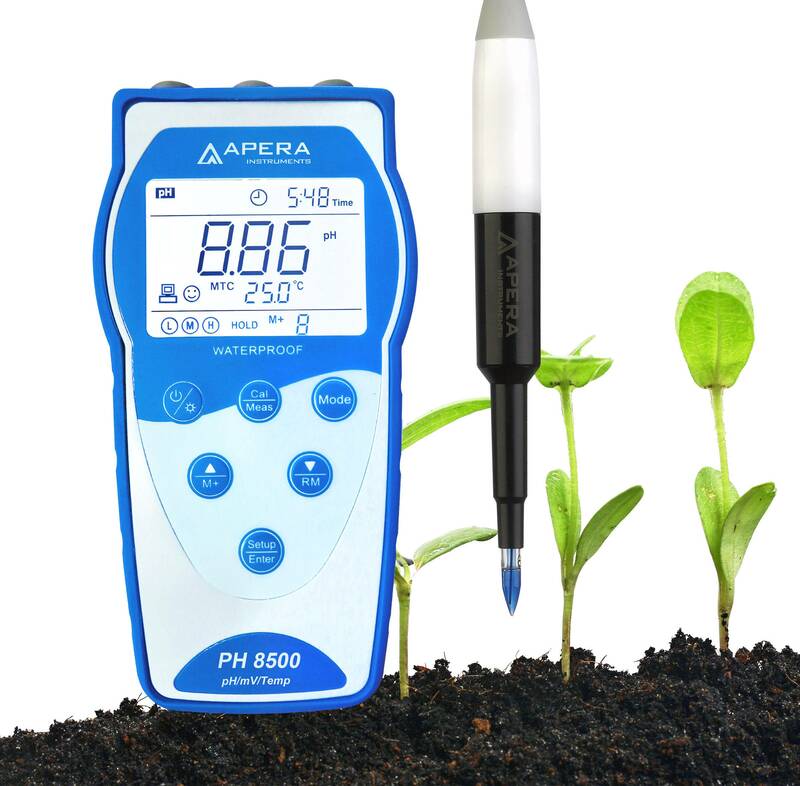 This soil pH meter has a ±0.01 pH accuracy in a range of 0-14 pH, and Temperature Range: -5 to 80°C (23 to 176°F), Auto Calibration with auto recognition of up to 12 kinds of buffer solutions, Auto. Temp. Compensation, and supports stable reading/auto-hold display mode. The meter's digital filter technology improves response time and accuracy. Intelligent Functions: Smart Self Diagnosis reminds of out-of-range measurement, incorrect calibration, and electrode invalidation. Other functions include calibration reminders, calibration date checking, easy parameter setting. GLP standard data management, 500 data sets of storage, manual/auto storage, USB data output. Reliable Structure Design: Large white backlit LCD; foldable stand allows use as a benchtop meter; soft silicone case gives you a nice firm grip; connector protection cap, IP57 waterproof rating; Powered by 3 AA batteries. How to direct-test soil pH? If the soil is dry, add a small amount of distilled or RO water to moisten the soil (do NOT add tap water since it will affect the pH value significantly). Ideally, wait 24 hours before you take a measurement. Insert the pH connector (the blue one) to the pH socket, and twist it clockwise to lock in; Insert the temperature connector to the temperature socket. Rinse the probe with distilled water/RO water before inserting it into the soil. If measuring outside of solution, rockwool or small pots, remove the top 5cm/2inch soil from the surface of the sample area. Insert the probe approximately 4 to 6 inches (10 to 15cm) into the soil samples from various locations (3 to 4), wait for the stable readings before recording (smiley face icon stays on the screen). Users can press the M+ button to save the stable readings on the meter. Then take the average of the measured data as the representative pH level of the sample area. Do NOT use extra force to insert the probe. If you feel like the probe can’t be inserted any deeper, stop inserting. The spear tip could break. Rinse off the soil residue between tests using distilled water for the best results. Use the probe cleaning brush in the case if needed.